It was already more than one year ago when I got my second professional certification in the field of Software Testing. 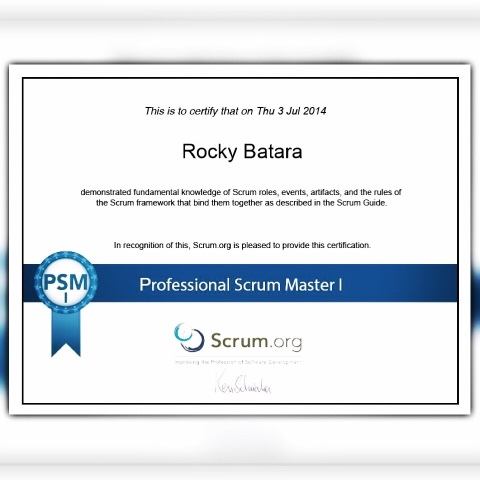 This is the Professional Scrum Master (PSM). My first certification in my field is the International Software Testing Qualification Board (ISTQB) which I got last 2012.